The Automobile Club of Monaco organizes, since 1997, the Monaco Historic Grand Prix. A full-fledged career in the glamor and essence of motoring meet to relive the thrill of seeing cars racing legend. Chopard, as sponsor and official timekeeper for this test, this competition celebrates with the stopwatch “Grand Prix de Monaco Historique”. The “Grand Prix Historique Monaca” is a test car that was first held in 1997, the second edition was in 2000 and has since been held every two years and two weeks before the celebration of the Monte Carlo Grand Prix Formula 1. The ninth edition this year will be held on the 10th of May to the trials, and on 11 May the competition. The event was a true test of speed is organized by the Automobile Club Monte Carlo and runs through the legendary circuit of the Principality conceived in 1929 by Antony Noghes. The series can be seen at this year’s seven distributed as follows. Series A: latest cars for 1939 Series B:. Motor from Formula 1 and Formula 2 built before 1961 Series C:.. Vehicles sport they have competed in international events between 1952 and 1955 Series D: Formula for cars. 1 of 1,500 cc engine between 1961 and 1965 Series E:. Motor Formula 1 between 1966 and 1972 Series F: F1 cars between 1973 and finally 1978 Series F:. Motor of 2000 cc Formula 3 engine between 1974 and 1978. 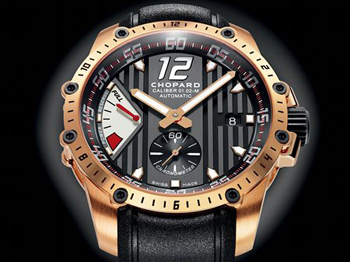 This edition, which is the ninth, the Monaco Grand Prix Historique be held on 10 and 11 May 2014, as usual, two weeks before the Monaco Grand Prix Formula 1 – it is also the seventh consecutive in Chopard is a sponsor and official timekeeper. 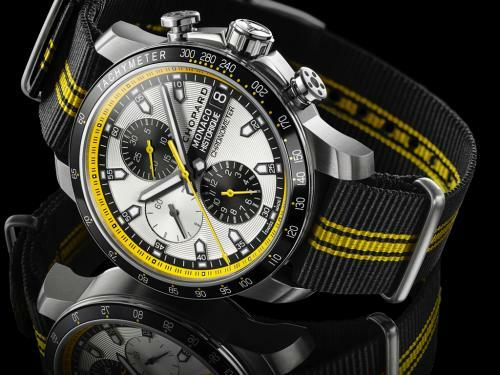 To date, Chopard presented a new chronograph model commemorating the race, but this year, the Geneva firm decided to develop an entirely new collection in which the chronograph will be the centerpiece. 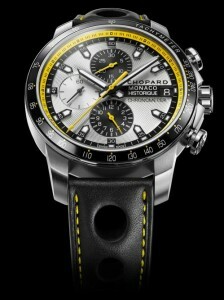 The chronograph “Grand Prix de Monaco Historique” is the first model of this new collection which debuts. A watch racing, both literally and metaphorically. 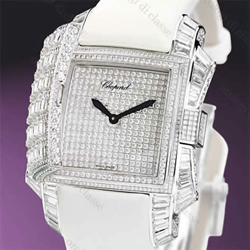 Chopard’s bid to create a new collection is totally decided and this year’s model has no little new about the models of the previous editions. The aesthetic without losing the automobile spirit was completely remodeled. The box, made of titanium, has a larger size with 44.5 -2.1 millimeter diameter than the preceding box-models and 13.9 of thickness, and a more robust and customized design. 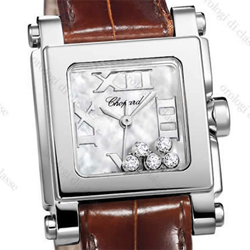 The design of the box is the classical three-body with bezel, middle and background. The profile of the bezel, executed in steel, similar to engine piston rings with scrapers. The two rings have a polished mirror finish, while the two slits have a black finish. A small detail that gives complexity and volume bezel. 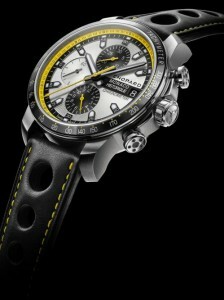 Its front is an insert of black aluminum with tachymeter scale numerals in silver and yellow indices. The case middle has a satin finish, the handles are short and sharp lines. Both the crown and pushers of the chronograph functions have details that link the world of motor. Both pushbuttons incorporate a large drive slip at the front instead of the smooth buttons in the previous models. The crown, bolted to the middle, has generously sized grooves that give robustness. At the top you can see the engraving of a sports steering wheel with three arms and their characteristic round holes in them. The crown is flanked by two guards. Also new this year is the closed bottom opposite the transparent background of recent editions. This is used for showing the logo of the “Grand Prix de Monaco Historique”. The fund is bolted to the middle by screws with a head resembling those used in motorsports. The housing assembly features a waterproof cataloged 100 meters, which is 10 atmospheres. The white area is presented which gives a circular volume and on which the other indications guilloche settle. The indications chronograph time measurements are vertical. 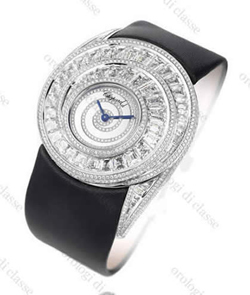 A twelve-hour sub dial black color with a guilloche circle shows the counter thirty minutes. Six hours find another chronograph subdial with meter twelve hours and the same aesthetic as above. 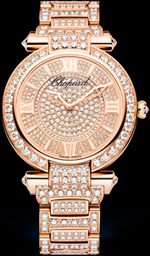 A nine hours a circular sub-dial and white background with guilloche seconds showing schedules. Numerals are printed three sub-dials and indications have a batch script with thick strokes reminiscent of drawing pianos in racetracks. The time stamps are rectangular in shape finalized in a tip pointing to the center of the sphere. All of them incorporate luminescent material and a smooth area in which the numeral minute schedules which also corresponds to the second hand is printed. All indicators are as united by a black ring with indications of minute white. Encircling the latter a yellow ring serves reading fractions of second’s chronograph. It is a detail that should not go unnoticed but if you look closely you will see that there are three indications among the latter. If we add to these three indications the spaces between them to four-plus second-own indication of the scale will have eight black-references that allow us easy reading of the tenth in the treadmill for needle and matching the 1/8 of a second which is able to measure movement equipping the watch. The hour and minute hands recall the particulars of watches from a car dashboard. Are generously sized, chamfered and focus part is filled with luminescent material, which allows reading in low light environment. The hands of the subdials are simple needle-shaped. The treadmill is stylized and topped with an arrowhead. The color of the hands showing the signs are chronograph yellow thus stand out from the black counters and are consistent both directions on the tachymeter scale bezel, as the ring that surrounds the area that allows the reading of the tenths of a second chronograph. Within three hours, as a black plate with white script, the evidence that it is the anniversary model of the “Grand Prix Historique Monca”. Also a window three hours in the field to see the disk enables the date, in black and white also with the spelling. The movement that gives life to this model is based on a mythical caliber between chronographs: the Valjoux 7750-7750 ETA’sa today. This is one of the movements with chronograph function most used today because it proved to be a reliable, sturdy caliber and they can expect good performance both chronograph and lap times. Not surprisingly this model, like its recent predecessors, has chronometer certificate issued by COSC, which attests to its high performance driving variation regardless of the position of the clock and the conditions of environmental temperature. The construction of this type movement is integrated, its mechanical design has been conceived from the beginning to incorporate the chronograph function. The system used for activating different functions of the push buttons through cam type is. In particular there are three overlapping cams, each in a different way, allowing spread the movement buttons to perform three basic functions Chronograph: start leaving, stop and reset the treadmill and the needle counters. The clutch system used to connect the shooting with the chronograph hour shoot is of the oscillating pinion. This is a shaft with a sprocket at each end connecting each with a shoot. When you enable this Chronograph pinion tilt oscillation so as to connect the two shooting. Wheel assembly / spiral 28,800 beats per hour is equivalent to an oscillation frequency of 4 Hz and the regulation system of the gear change is made via an index which acts eccentrically on the racket. The shock system that protects the wheel axle pivot is Incabloc type. One of the most unique features of this movement lies in transmitting vibration when the rotor rotates, so dizzying, counter-charging dock motor sense is a unidirectional rotor load in one direction of rotation. It is a pleasure to see how purrs in hand. 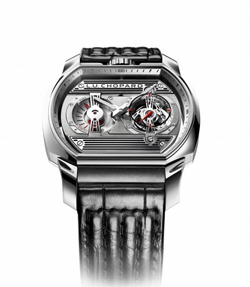 It is equipped with a single barrel that provides a power reserve of up to 46 hours. 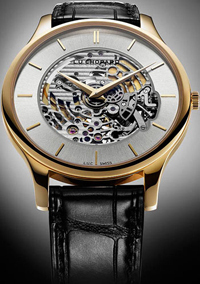 Swiss watch brand Chopard introduced the new limited edition watch LUC XP Skeletec, equipped with the first fully skeletonized movement. Round polished body novelties made of 18K rose gold, has a diameter of 39.5 mm. 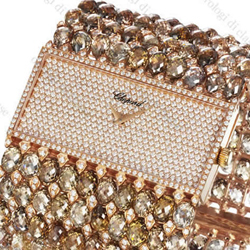 The face of the body is protected by anti-reflective sapphire crystal, which is also set to screw the back cover. 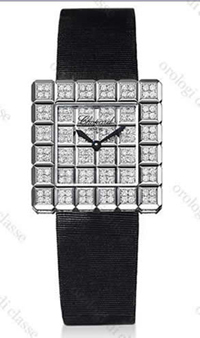 On a sapphire glass is present inscription LUChopard, black color. Between the case and skeletonized caliber set nickel matte ring adorned with ornaments overhead radiant hour indexes, gold-coated. Indexing time by using gold-plated central shooter in the style of Dauphine.